Bastille shot into the spotlight in 2013 with a song that captured the madness and terror of another time: “Pompeii” tugged at our heartstrings with its intense personification of the ancient Roman city’s infamous demise, giving us a vivid new way to relate to the nearly 2000-year-old catastrophe. After three years of intense touring which saw the band go from their cupboard-sized studio to sold-out arenas worldwide, Bastille pulled back to observe the present-day. The result is Wild World (9/9/2016 via Virgin Records), an epic 19-track album rooted in societal consciousness and the madness, the fear, and the weight of the modern world. Most will attest that 2016 has been a long, chaotic year; from politics to entertainment, from media controversy to local and global terrorism and so much more, the twenty-first century experience feels full of negativity and bad news. Every passing year seems to drag on for an extended stay, as if to get a few more punches in before the populace goes through the pretend ritual of washing it all away on December 31st. It truly is a Wild World, one burdened by loneliness and hopelessness, stress and woe. Speaking directly to these feelings and more, Bastille’s sophomore record could not have come at a better time. Wild World addresses our internal and external surroundings through a mixture of bombast and balladry. Bastille’s signature cinematic anthems also serve as some of the band’s deepest, most contemplative moments: In lead single “Good Grief,” an unfathomably catchy and earnest piece about loss and the grieving process, the pre-chorus chant “What’s gonna be left of the world if you’re not in it?” hangs heavy in the air, a rhetorical question if ever there was one. Songwriter and lead vocalist Dan Smith is more vulnerable and personal than ever before, addressing emotions that are at once intimate and universal. He questions his own motives and intentions on “Two Evils,” a quiet song with herculaic strength. If Bastille’s debut Bad Blood was their coming-of-age album, then Wild World is their “having come of age, realizing that everything’s a bit terrible, but you’ve got to just get on with it” record, or so says the band. 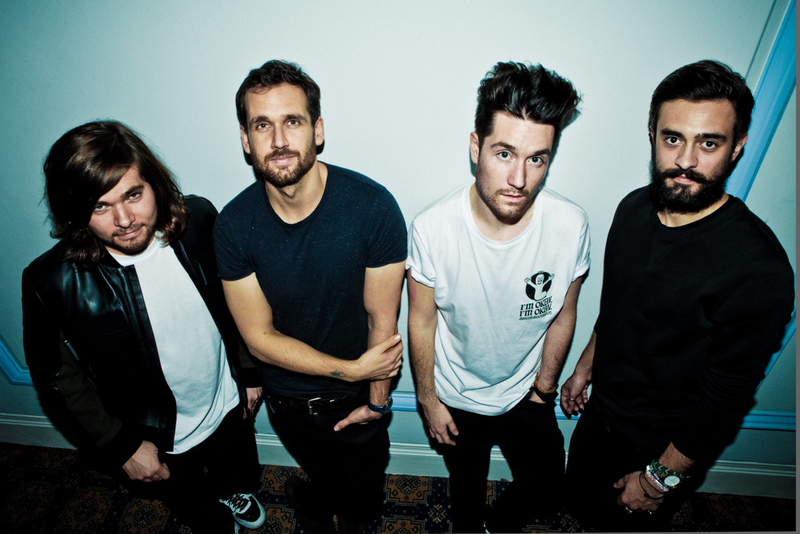 In addition to its societal awareness and timely consciousness, Wild World finds Smith and fellow band members Will Farquarson, Kyle Simmons, and Chris Wood developing musically: The record notably finds the band employing guitar for the first time (on Bad Blood, Farquarson had only played bass), an instrumental addition that immediately adds new depth to Bastille’s sound. The so-called “indie pop” group take more risks on Wild World, unashamedly sharing their rock and hip-hop influences through the employment of instrumental solos and pounding, rhythmic beats. Bastille’s incorporation of speech snippets provides another dimension to their songs as well as the overall album as they blend visual with aural media, pushing the boundaries of the musical medium and expressing more of their own influences. Finally, Bastille start to break free of traditional song structures for the first time, dabbling if only for a bit with new arrangements that give Wild World new life and a fresh sense of adventure. Wild World stays true to its name: Bastille have returned to the spotlight in 2016 with an album that captures the madness and terror of our time. Atwood Magazine spoke to Bastille about emotional and musical coping, media and social media, the creative process, and how it all relates to the band’s new music. 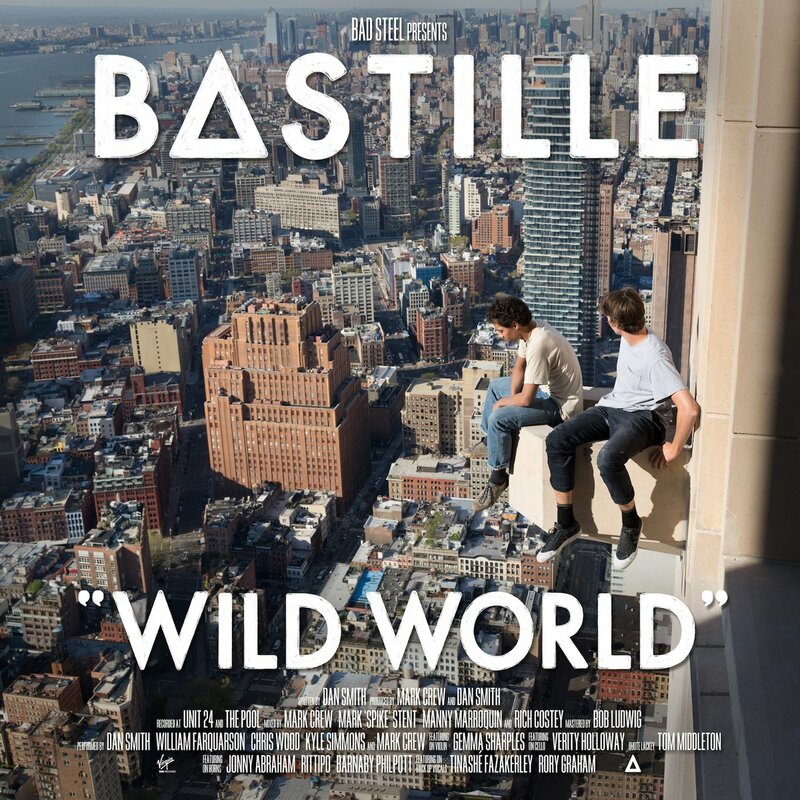 Experience Wild World for yourself, and dig deeper into Bastille with our exclusive interview! Atwood Magazine: Right off the bat, I've always wanted to know: What does the delta sign in Bastille represent to you guys? Bastille: Nothing in particular. When we came up with the name, we were looking for some sort of logo or distinctive font. Dan came up with it, I think he drew it on Microsoft Paint. We were never that bothered about it, but the fans sort of grew to quite like it. At the same time that we were coming out, so were Alt-J, and obviously Alt-J is how you get a triangle on the keyboard, so they kind of had the triangle thing already… But I think there’s enough to share. Bastille employ a bit of deceptive songwriting, in that some of your biggest anthems are also some of your most fragile moments. Bastille: Yeah, it’s kind of interesting, actually. With “Pompeii,” for instance, which is obviously about the disaster of Pompeii and the volcano, it’s always quite funny for us to write a song that’s as upbeat as that, and that so many people sing along to thinking it’s a happy song, and then the lyrics are kind of dark. I guess with “Good Grief,” we did the same sort of thing – I think it’s more interesting to write about the dark side of life sometimes. It’s also quite fun to try and mask that in happy, upbeat-sounding songs… It’s quite nice to explore that tension. When we say good grief, it’s about the grieving process, which is quite sad, but also in a way quite hopefull; I think the whole new album sort of goes between contemplating how difficult the world can be and how crazy things can seem, but also looking at the good that’s in the world. I think that juxtaposition is illustrative of even in your darkest moments, there’s a light at the end of the tunnel, so to speak. I think it’s more interesting to write about the dark side of life sometimes. As a band, do you guys talk about that stuff at all during the creative process? Bastille: No, not really. I think the creative process in general is quite interesting; it’s one of those things that you kind of tend to analyze after the fact. I think when you’re making it, you just sort of… I don’t think it was ever a conscious decision; it’s certainly not something we sit around and talk about, specifically. Wild World is technically Bastille's second album; do you see it that way? Bastille: Obviously you’re alluding to the mixtapes we’ve done. As well as All This Bad Blood, the 'deluxe' to your debut album. Bastille: With this new record, we’ve released a 19-track version and a 14-track version, and we see the 19-track version as the one that we want to put out. All This Bad Blood was really just putting out a lot of the stuff that didn’t make the first cut that we really loved, and wanted to get out there. That, to us, is the ‘main’ first album. We have very much two albums that are the band’s albums, and then we obviously did the mixtapes as well, three of those, but they are slightly different and sit outside the main Bastille thing, in that we use them as an opportunity to collaborate and try out new stuff, and do things that maybe we wouldn’t put on one of our main studio albums. [All This Bad Blood], to us, is the main first album. How did all the work you did in between Bad Blood and Wild World affect the new album? Bastille: I think on this one, we’ve been a bit less cautious.. We showed our influences more nakedly than on the first album. The first album, I think it was all quite tempered and had a more singular sound. I think on the new album, we had more freedom. For example, “Blame” has a Jack White-esque guitar riff at the beginning. It’s really just a big rock song; when we decided to use the guitar, for instance, we decided that we could have license just to be perhaps sort of not watered down at all. “Way Beyond” samples an old-school hip-hop beat, and I think before we would have had hip-hop influences, but maybe they would have masked it. This time, we just decided that if we want to have a hip-hop beat, we have a hip-hop beat; if we want to do a rock song; we’ll do a rock song. I don’t know where that came from; you know we’ve been touring a lot, and you know, having the response we had to the first album, we felt like, perhaps we could play it a little less safe with this one. Again, it wasn’t really a conscious thing, though; we just made music we like, and it turned out how it turned out! Was there a feeling during the recording process that this was different? Bastille: Yes and no. Once it was finished… but I don’t think we knew it was different. In places, particularly with the guitar… The joke is I got a promotion: On the first album, I only played bass; we didn’t have any guitar at all. I think the fact that we chose to use guitar was obviously a new sound. We didn’t want it to just be the same as the first album; we wanted it to be pushing a bit differently. It’s interesting to think back quite how different the sound is, now. Is Wild World a continuation of where Bad Blood left off, or is it something new? Bastille: Obviously it’s the same four guys making it, and we used the same producer again – Mark Crew – and it’s a cliche to say he’s the fifth member, but he really is; he’s as crucial to the sound as the rest of us. So I think just using the same studio, the same producer, it wasn’t such a radical departure from the first album, but it’s something completely new. It was a natural evolution; we just wanted to take it somewhere different, again not wanting to alienate people or come back with a crazy, prog-rock jazz album. I think you have to be aware that you have a fan base and they like what you do. If that’s what we are to them, then we ought to continue doing what we do. Is it hard to balance the two, or is the music that you make the music that you make? 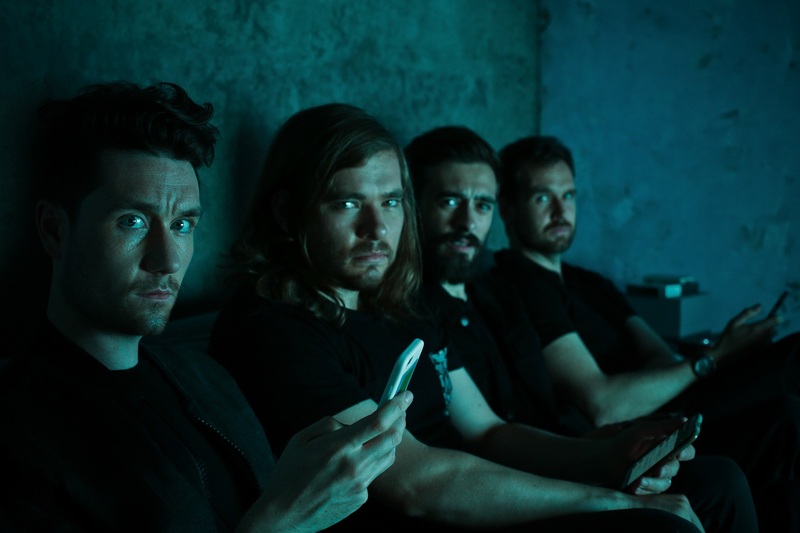 Bastille: I mean, we have a natural inclination to big pop songs and melody. I don’t think any of us really has any compulsion to make other music, but we still want to try and experiment as much as possible within that world. What is it about anthemic music that speaks to you guys? Bastille: I don’t know; I think we all grew up listening to songwriters… Dan was very much influenced by The Beatles, Simon & Garfunkel. For all of us, we’re really appreciative of the power of a song. I think often, you can have tunes that have great production or have great presentation, but aren’t necessarily good songs. I think if you start with the song, whatever you do after that, you’ve still got that foundation. People often think that you can analyze it, or that there’s some secret formula; Dan just writes as he writes, and comes up with Good Griefs and Pompeiis. It’s just a natural thing for him. Some artists will release an eight-track album... Bastille double that, making it look like a walk in the park. Bastille: We had the problem of our record label desperately wanting us only to release an eleven or twelve-track album! It’s one of those things about the way we work, maybe – I don’t know if it’s unusual, because I don’t know how other people work – but we tend to finish everything. We don’t work with a few demos and then decide which one’s finished; we’ll just finish everything we ever do, which means at the end of the process, we have like 24 completely finished radio-quality songs that we loved. It’s quite hard to narrow that down to 10, so we settled on 19 in the end, which I think is a long enough album to anyone. I spoke to a pop artist who went over 100 songs before she whittled it down to like 10 for her record. Bastille: We don’t really have any [demos]. We pretty much finish everything we start. The process tends to be Dan will write a song, and then we’ll maybe get together at some sound checks and stuff and play it a bit, and then we’ll go in and start producing it. I think if you’re the sort of indie band, say it’s just four guys who play guitar, drums and bass, then you might do a quick demo of something and then maybe never work with it. Because we start with production first, by the time the song is finished to any degree, it’s pretty much finished fully! I don’t think we have any half-finished songs; there’s like one or two that we got halfway through and sort of got stuck with… like, some things just don’t tend to work out, but they’re really rare. With the first album, we ended up releasing pretty much everything we ever recorded. It’s interesting, because we released the song “Sleepsong” as a B-side… I think people often think that when you release a B-side, that it’s obviously not as important to them, but for us, we loved that song as much as any others. We spent as much time on that, and put as much energy into it; it just didn’t fit on the record. So we try and give everything we’ve done its fifteen minutes [of fame]. That’s why it’s difficult with there being a 14- and a 19-track version of this new album; for us, the 19-track version is the album! The 14-track is just a compromise we made for various reasons financially with the label! For us, the 19-track album is our album, and the songs that aren’t on the other one are just as important to us as the rest of them! How do you make the trajectory of the album? How do you keep people listening from start to finish? Bastille: Oh, I don’t know; that’s a tough one! I don’t know, really… You don’t want to frontload it with all the upbeat hits and then have all the slow ballads at the end, I think that would get boring. I think you try to find a balance between different tempos, colors and stuff. For instance, there’s a song we did which is completely different from anything we’ve done before, with just guitar and vocals, called “Two Evils.” We put that smack bang in the middle of the album, as sort of the centerpiece. I think that simplicity is quite a nice cornerstone from which everything else stems. The album finished with “Anchor,” and that just felt immediately like it should be the end of the album, because it’s this huge, rocky song and it ends with feedback on the guitar and stuff. Some songs just cry out their place, but otherwise it’s a discussion back and forth. Can you tell me about the incorporation of the speech snippets? These little humanoid references. Bastille: On the one hand, they’re interesting because on the one hand, we tried to make the content of them fitting with the song, to add an extra voice and dimension to the meaning of the song. On the other hand, I think they just add this whole other dynamic and texture, this whole musical color to the record that can be quite evocative and emotive. They were more problematic than we’d imagined: We’ve done a lot of mixtapes that have used samples, and we never bothered to get those cleared and got quite a few lawsuits. This time around, for the actual album, we had to go and get them cleared, which is a laborious and thankless task. They seem to come from all over. Bastille: We found all sorts of things! Some of them were really obscure, like old Italian horror films. One of them is from an anti-Communism propaganda cartoon that used to be played in the States a lot. They were just films we loved and things we found interesting, as a way of bringing in a new sound and an additional voice without having to go down the route of actual collaborations. I feel like it brings me closer to understanding Bastille's relationship with film - speaking of which, how do film and literature influence your musical choices? Bastille: We’re all massive film fans and we all read quite a lot, so I guess they just naturally [combine]. I think when you create music or art in general, your influences aren’t just from the same sphere as the one in which you’re working. For instance, the obvious influence is cinema, with songs like “Laura Palmer” with direct references to film, and there’s the sonic influence that’s maybe a bit more subtle – we use a lot of strings and things that sound filmic, that sound like a score. With the new record, songs like “Two Evils” is a very obvious and not particularly subtle nod towards Nancy Sinatra’s “Bang Bang (My Baby Shot Me Down)” – which is sort of that cleary very Tarantino-esque sound, with the tremolo on the guitar and stuff. I think sonically, we take a lot from cinema, as well as lyrically. Also visually, with our album covers, we try and make them look as much as we can like film posters. Bastille's music utilizes literary references too. Bastille: There’s a lot of reference to classics on the first album, just because those are some interesting things. We tried to avoid, especially on the first album, being too autobiographical, mostly because I think Dan felt that his life was not interesting. So I guess it’s sort of a natural thing to reference literature and things like that. We tried to avoid, especially on the first album, being too autobiographical. Bad Blood, Wild World, they do look like film posters. What would the Wild World movie be about? Bastille: I guess it’s about friendship; it’s about human relationships set against the backdrop of political, geopolitical turmoil and the overwhelming, crazy world in which we find ourselves in 2016. I think it’s hopefully quite a timely record; a lot of things are in flux at the moment around the world, and I think the main theme of the record is that, despite that, you still have to have normalcy in your life; you still have to rely on the things that are constant, and those things generally are relationships. Who would play the main character? Bastille: Daniel Craig. Daniel Craig should play the main character in everything! I love that, and I think it also speaks to growth between your first and second records. Wild World is more personal; it's taking more from your own story. Bastille: I think the first record, if I were to characterize it, was a sort of growing up, or coming-of-age record. And then this one’s having come of age, realizing that everything’s a bit terrible, but you’ve got to just get on with it. You still have to have normalcy in your life; you still have to rely on the things that are constant, and those things generally are relationships. Bastille have taken a different approach to social media with this record; you've embraced it in a much grander way, with a bigger presence than before. Why? Bastille: I mean, it just is what it is. People talk about social media as this thing that’s separate to any other aspect of life. When I was growing up, it didn’t exist, so I didn’t have access to bands the way people have access to us. Now it is, so we use it accordingly. We tend not to do lots of selfies and exploit it that way, but I think it’s a really useful tool to connect with people. I'm interested by the website Wild World Communications, which relates to that wider theme of communication that permeates the album. Bastille: One of the themes on the album is looking at the world and how it can seem very overwhelming, but there is an element of whether or not that is because the world is more chaotic now, or is it because we are inundated with news and media? Everything’s narrativized and sold to us, almost for entertainment. I think with social media it’s equally true: You go on Twitter and you’re inundated constantly with tweets about what’s going on in the world, which is important because it keeps people informed, but at the same time that sense of helplessness and being overwhelmed can stem from the sheer volume, and the fact that every news outlet is vying for our custom now. I think it’s summed up: I was watching, for example, the Weather Channel yesterday, regarding a hurricane, and the whole thing was being sold as entertainment: “We’ll be there for the whole thing!” and “This is the best channel to watch the thing!” There’s people losing home and hundreds of people losing their lives, and yet it’s sort of being peddled almost as if it’s exciting – entertainment. I think it’s that, that we’re sort of questioning a bit, and how healthy that is, necessarily. So there's this goal to bring back the world of authenticity. Bastille: Eh, maybe. I think it’s just observing that media does often have a big narrative, acknowledging that they’re in competition with one another. We’re not offering any solutions; we’re just commenting. Are there things you know now that you wish you had known or learned earlier? Bastille: Not really! One of the cool things about doing this – and going on this “journey” – is that it is a learning experience. All of the mistakes or the things that you didn’t know at the beginning, that you’ve sort of picked up, that naivety is what makes it so wonderful. I think we’re at a stage now where we’re doing a certain size venue, but we’ve no idea what it’s like to do the next size, and that’s what’s exciting! There’s always somewhere to go, and there’s always stuff to learn. Looking back to when we were young kids just signed and on our first tour in a van, looking back to how naive and excited we were about everything, it’s amazing what you know. I think it becomes kind of scarier, the more you know. At the time, we felt a bit sort of invincible. Do you guys talk about goals? What was the goal for this year, and for next year - where do you go, after releasing Wild World? 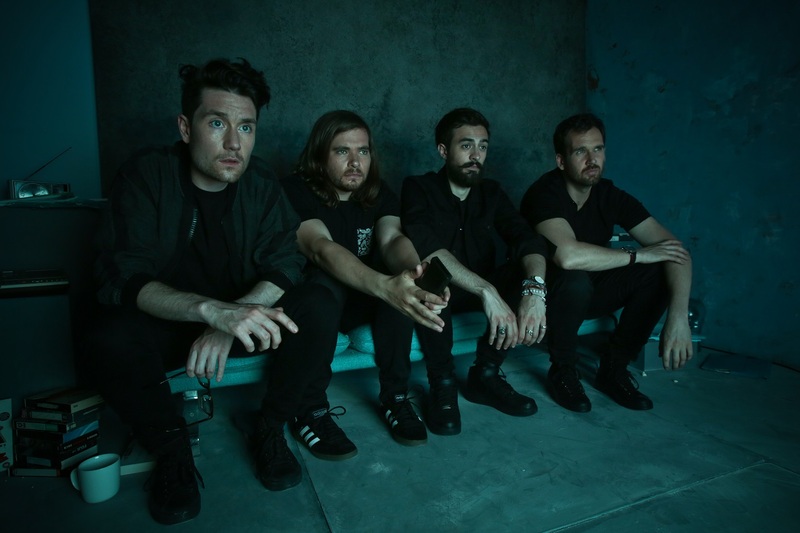 Bastille: I think our goals are quite humble; we just want to keep doing this, and so whether there are some things you have to achieve once you reach a certain level to be able to continue – I mean, our initial goal was just to get an album out. We did that, and then it was to get to the second album; we’ve done that. I guess, as much as a cliche as it sounds, it’s just to be able to continue to play music everyday. Whatever we need to do that means that we’re in that position, is our goal. In a band, you can’t really think too far into the future, because it’s all so uncertain and depends on so many different variables, so we literally just take it one week at a time. Hopefully next year, we’ll be doing the same thing! So if you close your eyes, does it feel like nothing's changed at all? Bastille: [laughs] Maybe! A bit busier now than it used to be, but yeah we haven’t changed much.